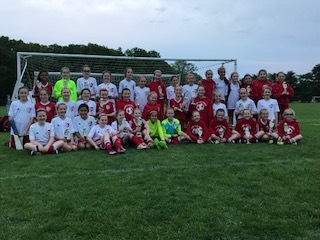 All three RVC girls U-11 teams competed in Massapequa's Lincoln Page Memorial Day tournament with much success. The Titans earned their way to the finals vs Massapequa Quest. Velocity played tough and extremely well against very competitive teams in the premier division. And RVC Legacy were the top flight champions in a 1-0 defeat of the Massapequa Stars. Go Teams!